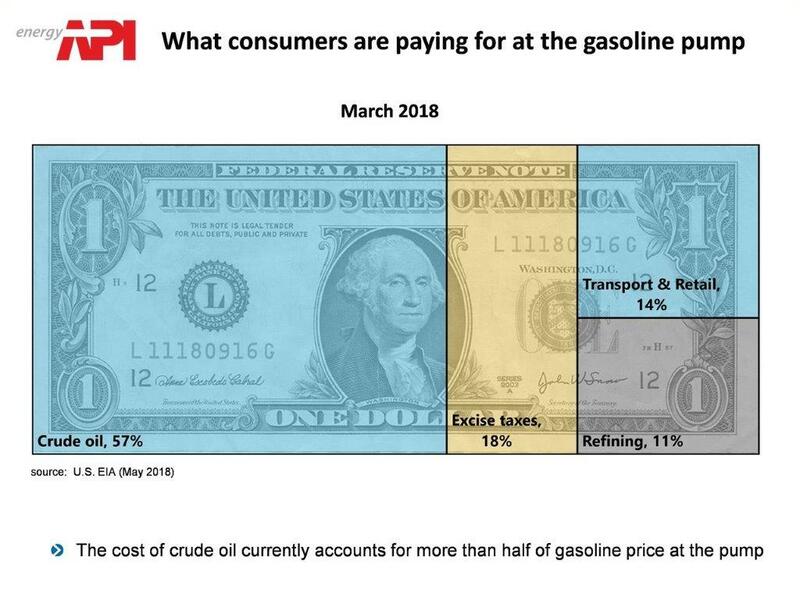 Let’s add some needed perspective in the ongoing discussion of U.S. gasoline prices – even as Washington politicians try to exploit them for their own agendas. The latest political play: Senate Democrats want the president to cajole other nations into producing more oil to increase supply in hopes of moderating things at the pump. Certainly, increasing global crude supply is important, because in the past doing so has put downward pressure on the cost of crude, the No. 1 factor driving gasoline prices. Murkowski refers to a number of policies and outcomes that support domestic oil production, including updated infrastructure, streamlined regulation and more access to U.S. reserves, offshore and onshore. Coincidentally, the U.S. Energy Information Administration is just out with an analysis that says the coastal plain of the Arctic National Wildlife Refuge in Alaska will produce 880,000 barrels of oil per day at its peak in 2041. That’s a lot of oil when you consider current North Slope output is about 560,000 barrels per day. 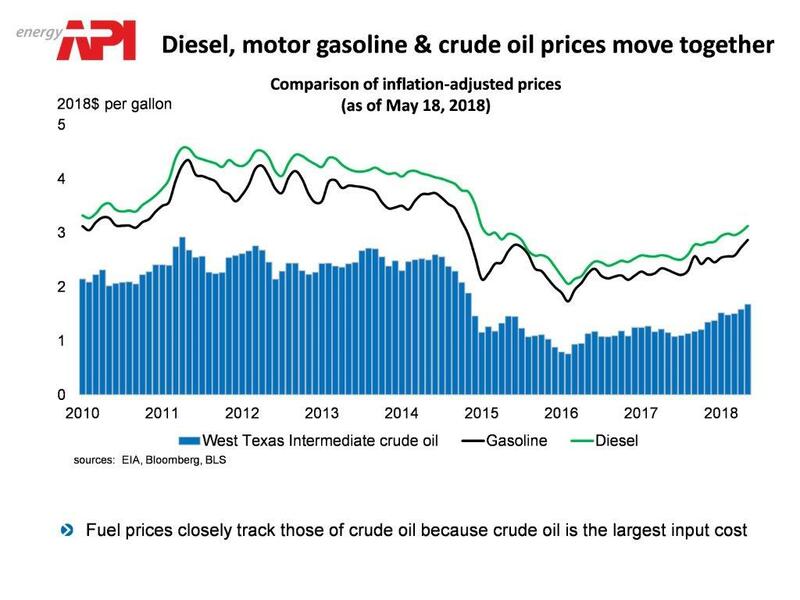 Crude oil is a globally traded commodity and, again, its trading price is the chief driver of prices at the pump, currently representing 57 percent of the cost of a gallon of fuel, according to EIA. Global oil demand has risen and reduced the world’s cushion of petroleum inventories, so geopolitical forces recently have had more of an impact on prices as well. The International Energy Agency attributes the increase in global crude prices, from $52 per barrel in January 2017 to more than $71 per barrel, to stronger demand, production declines in Venezuela and uncertainty over how U.S. sanctions will affect oil supplies from Iran. The bottom line is a looser global oil supply/demand balance usually has been the best way to maintain affordable, abundant and secure supplies. This has occurred largely because of increased U.S. oil production, which has added to global crude supplies, with obvious benefits to American consumers. That’s not to minimize the current impacts on family transportation budgets this time of year, but it’s important context to be acknowledged as we better understand what has affected pump prices. As Dean pointed out in his post (and as EIA explains), another factor at work is the combination of federal, state and local gasoline taxes. The federal gasoline tax is 18.4 cents per gallon; different state and local fees and taxes can cause pump prices to vary from state to state. At the same time, summer driving season means that, by law, summer-blend gasoline is required to help lower emissions. AAA has a good explainer on the differences between summer- and winter-blend gasoline. The main point is that the summer blend required by EPA has historically cost more to produce. The larger point is we need Washington focused on policies that strengthen the U.S. energy renaissance – which is the best strategy to protect consumers, our economy and security – versus bad approaches that could make things worse.